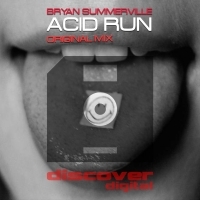 Bryan Summerville returns to Discover Digital with Acid Run - a chunky bass driven trance excursion with a big kick and bags of punch. Understated melodies and cool vocal stabs pepper the track before the infectious hook drops perfectly in the breakdown. 'Acid Run' is available now from Beatport and iTunes.